Great product descriptions are one of the most important tools in creating an effective eCommerce website – one that helps you sell more products online. Sadly, it is one thing that many online retailers seem to neglect. Product pages are prime retail space in any eCommerce store, and your product description provides the meat on the bones. This is the key area on the site where you can really get across your expertise and knowledge about the products you are selling. This might seem obvious, but is not always at the centre of every eCommerce website. We use user centred design processes when designing and developing website projects. This process has the user (or customer) at the very heart of the project – everything designed and developed is aimed at the user. We use a number of techniques within this process, but one that is incredibly useful for writing content is to develop personas for two or three key target customers. You can then use these personas to refer to and write directly for when developing your content. At this point I would like to emphasise the word ‘your’. Far too often retailers become a little lazy and simply copy and paste the standard manufacturer / supplier description into the page. This has to be one of the quickest (and easiest) ways to get penalised by the likes of Google for using duplicate content. It is important to write unique descriptions for every product you sell. That’s not as difficult as you may think. Assuming you are selling products that you have expert knowledge. Extract that knowledge and write it down. If you’ve been running an online or physical shop for a while, then you’ll know the questions that your customers ask frequently about that particular product so make sure you tackle those in your content. You can also take this opportunity to communicate the benefits of a particular product, rather than just the features that customers will probably already know. Focus on the needs of your persona customers and the type of benefits that will influence their buying behaviour. Get across to customers your enthusiasm for the products you are selling and give your website its own particular ‘personality’ – and be consistent throughout your website with this personality. 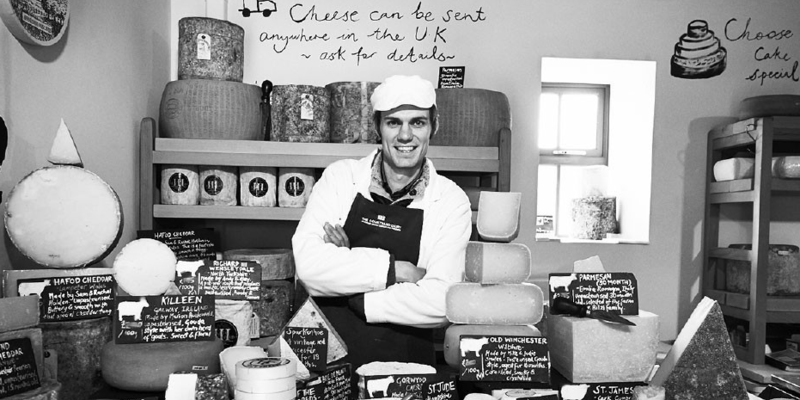 One of the best examples from one of our client’s is the way Andy Swinscoe of The Courtyard Dairy writes about the cheeses he sells. No one can escape the passion he has for his products, or fail to understand that here is a real expert in his trade. We would all like to believe that every customer who visits websites reads every single word and phrase committed to the page – but in reality they don’t. They have short attention spans. It is advisable that you try and write your content in short, manageable chunks of information in the form of short paragraphs and bullet points. Use headlines if you can as well. Not only will this ‘chunking’ look more attractive on the page it will also make it easier for your customers to digest.